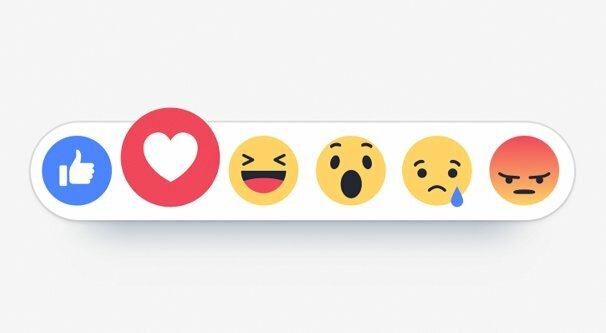 Can You Pay For More Reactions on Facebook Ads? Facebook’s bevy of ad objectives are, frankly, a bit of a mess to anyone who hasn’t been immersed in them for a while. There are a ton of different objectives, divided into categories, some with surprisingly generic names. It stands to reason that some simple questions like “can you pay for more reactions” can be surprisingly difficult to answer. Before we answer the specific question in the title, I’d like to go over ad objectives quickly. Ad objectives are broken down into three main categories. Awareness: Ads that generate interest in your product or service. Consideration: Ads that focus on getting people to think about your business or look into it for more information. Conversions: Ads that focus on getting people to convert into customers. Each of these categories has a selection of individual objectives within it. There’s a lot of information available for each, which you can find here. I’m just giving a brief summary. Awareness – Brand Awareness: These ads focus on reaching as many people as possible with your message. Awareness – Reach: These ads focus on reaching as many people as possible with your message. Different from Brand Awareness in that it targets unique people rather than people in general with some overlap. Consideration – Traffic: These ads focus on driving people to your website landing page. Consideration – App Installs: These ads focus on getting people to install your app. Consideration – Engagement: These ads focus on getting people to engage with your posts on Facebook or Instagram. Consideration – Video Views: These ads focus on getting people to watch videos you upload to Facebook. Note that this doesn’t work for off-site videos like those hosted on YouTube or Vimeo. Consideration – Lead Generation: These ads focus on getting user contact information or opt-ins to your mailing lists. Consideration – Messages: These ads focus on getting people to message you through Facebook Messenger. Conversion – Conversions: These ads focus on getting people to purchase your product or sign up for your service. Conversion – Catalog Sales: These ads focus on getting people to make a purchase through the Facebook Catalog system. Note that this is ideal for Instagram Sell-By-Post ads. Conversion – Store Traffic: These ads focus on getting people to stop into a physical retail location and are heavily geotargeted to nearby users. You’ll note that none of these specifically say “reactions” on them, but there are reactions hidden in there somewhere. Can you find them? Unfortunately, there’s no way to purely pay for reactions on Facebook. You can get reactions as part of any ad that promotes a post, but those reactions are only the specific objective for one type of ad. All other types of ads, reactions are simply a bonus. Ads that do not take the form of a post that can be reacted to. For example, the “who to follow” suggested friends boxes, sidebar ads, and app install ads in the Facebook display network are all this kind of ad. Ads that take the form of a post but are not specifically aiming for reactions. Most types of ads, including all ads in the news feed fall into this category, except for ads that fall into the third category. For these ads, you can get reactions on your posts, but you do not pay for those reactions because they are not part of the objective. Consider them a bonus. Ads that specifically have the engagement objective, of which reactions are considered a type of engagement. 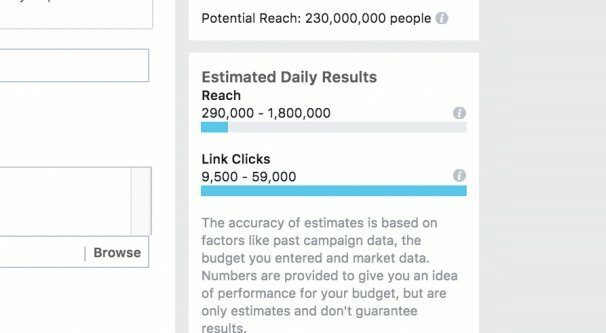 So there you have it: you can pay for reactions on your Facebook posts, but to do so, you need to boost those posts with the “engagement” objective. The downside here is that “engagement” actually includes more than just reactions. In fact, engagement includes more than you might think, even if you’re used to the term engagement on other platforms or in other locations on Facebook. 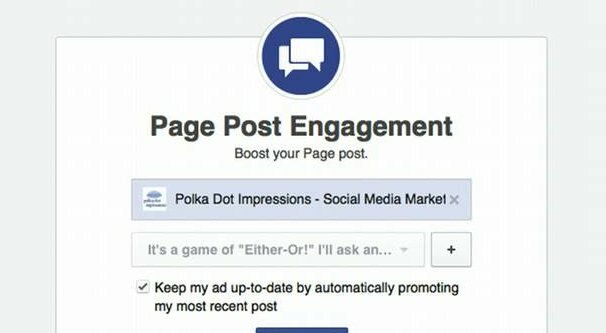 So what is considered engagement, when you’re paying for engagement in the form of ads? 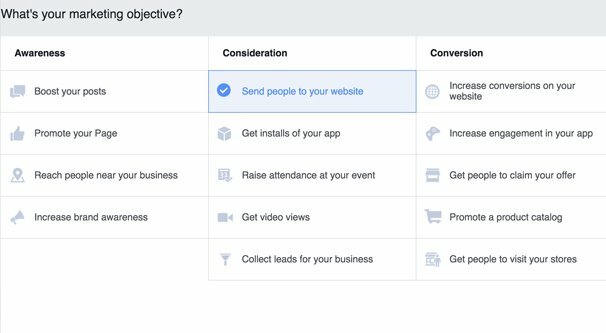 First of all, the Engagement ad objective has four different types of ads within it. What is considered engagement will vary depending on the type of engagement ad. Still with me? This is a lot of sub-categories, so prepare for another bulleted list. Boosted Posts. These ads aim at engagement on posts specifically. Promoted Pages. These ads are aimed at specifically page likes, and no other kind of engagement. Promoted Offers. These ads specifically focus on getting people to claim offers that you offer directly through Facebook or Instagram. Promoted Events. These ads specifically focus on getting people to RSVP to your events hosted on Facebook, regardless of whether they are paid physical events, webinars, or anything in between. Among these four, only one of them includes reactions. Again, can you guess which one? It’s the boosted posts, to save you the trouble of guessing. The official Facebook definition of engagement is “The total number of actions that people take involving your ads.” As you can tell, this is a very broad definition. In fact, there are many different forms of engagement, and it includes pretty much everything that can be done to a post. Bullet list incoming! Clicks that lead from the post to the destination of the link in the post. Clicks that go through to the post permalink (going from Facebook.com to Facebook.com/username/posts/numbersidentifyingthepost). Clicks that go from the username of the poster to the profile or page that posted the content. Clicks that save a post, hide a post, snooze the user, unfollow the user, or give feedback for the post. Clicks that expand a photo from a thumbnail/preview to the full sized image on a photo post. Clicks that start a video playing or adjust the volume on the video player. Note that these clicks may not record if the user does not then watch at least part of the video. Clicks on the “Read more” link that expand a text post. Clicks that cycle through images in a carousel post. Clicks that lead to the profile of someone who commented on your post. Yes, really! Comments people leave on your post. Comments people leave on other comments on your post. Comments on shared versions of your post. Shares of your post, though this may only show public shares, not shares in restricted privacy, especially from people who don’t follow your account. Shares of the shared version of your post, rather than the initial iteration of the post. Reactions of any sort: likes, loves, sads, and other emoji reactions using the reaction system. Reactions that are changed. If someone likes your post and then goes back to change their like to a love, that’s a second engagement. Deleted or undone engagement. If someone likes your post and then decides to unlike it, that engagement is still counted. If someone shares your post but then deletes their share, it is still counted. In fact, the removal is often counted as another engagement! So as you can see, you can pay for engagement, and you will get reactions as part of that engagement, but it will be a lot of different forms of engagement as well. You’ll be paying for your likes, your loves, your lolls, but also your clicks, your reports, and your hides. Reactions work a little differently for ads than they do for organic posts. The primary different is that reactions on organic posts can be removed, whereas reactions on ads cannot be removed, only changed. At least, that’s what this page says. Additionally, there are a few other implications. First up, likes, loves, hahas, wows, sads, and angrys are all treated identically. A reaction is a reaction and it does not matter what the reaction is. You can see the breakdown of each reaction on your post from the Ads manager, but they do not have different values. Reactions can be a good tool for advertisers in two different ways, though one of those ways is technically banned, so use it at your own risk. First is the option to record reactions as votes. You quite often see posts asking users to vote in one of a few different ways: choose one sports team or another based on the sad or the haha, for example, or choose one of six different drinks, each assigned to one reaction. This is the “illegal” option, because it’s considered an abuse of the system by Facebook. They specifically call it out as a banned technique because of how frequently it was being used to gain “Artificial” reactions. If you’re using a heart as a vote, it’s not a heart anymore, so it’s not a genuine reaction. The second way reactions are a good tool is to use and verify the use of emotion in your posts. Using emotion is already a good way to get people to engage with a post, but this way you can identify which emotions specifically you’re eliciting. A simple post of appreciation can gain likes and loves. A post with humor in it can gain haha reactions, but if your humor is crass or offensive, you can see by the number of angry reactions instead. Newsjacking a tragedy is likely to result in a lot of angry reactions as well, but if you do it through your own charity for the survivors, you can get loves instead. While engagement is beneficial regardless of the engagement, some engagement can be negative in some contexts. If you make a new product announcement and get a lot of haha reactions, it could very well be because your users are laughing at a bad launch. Always keep context in mind. Should You Pay For Reactions? 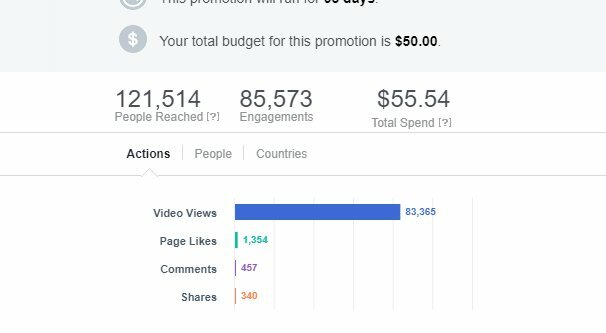 So at the end of the day, you have to answer one specific question: should you pay to boost a post with the post engagement objective? My answer is yes, but only if you’re going for clicks. If all you want is more reactions, well, who cares? Seriously, who cares? What’s the point of those reactions? No one really reacts to a post just because there are a lot of reactions, it’s not like social proof or encouragement. Reactions don’t translate into comments or clicks or shares. Reactions don’t even really generate stories in news feeds anymore, which is part of why viral reach has been decreasing over the last few years. Reactions are boring. Reactions are essentially useless on their own. They can work to gauge the emotional sentiment of your audience, but they don’t bring you any inherent benefit. This is, of course, why reactions aren’t an ad objective on their own. 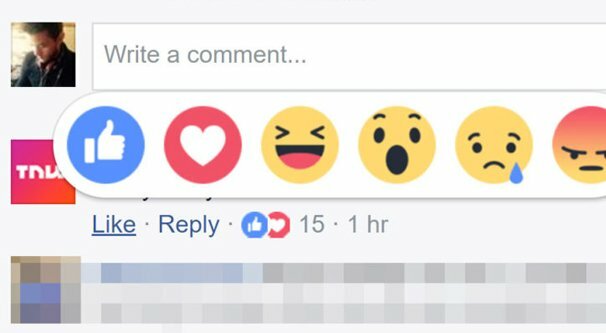 Facebook knows and understands that reactions are essentially valueless, so they don’t let you pay for them individually. The other forms of engagement are the real benefits to your posts; they get you more shares and more visibility, and the potential to go viral, as well as people who might click through to like your page or click through to your landing page. You can, of course, go through a third party seller on Fiverr or some other place that sells you reactions. You’d be wasting money if you did so, since those sellers generally use bots or networks of compromised accounts to do their reacting, so it’s not organic in any way and won’t benefit you, but hey. It’s your money to waste.